In 2017 the town of La Laguna will celebrate the 14th edition of the event November - Wine Month or Noviembre, Mes del Vino. This event is dedicated to the Tacoronte - Acentejo wine produced in the region and there are 36 wineries that produce this type of wine of Denominated Origin. 2017 has been an excellent year for production compared to 2016, as the region has produced the double amount of wine this year compared to the previous year. You will be able to taste the wine of the region Tacoronte - Acentejo, along with food specific to the gastronomy of the area. 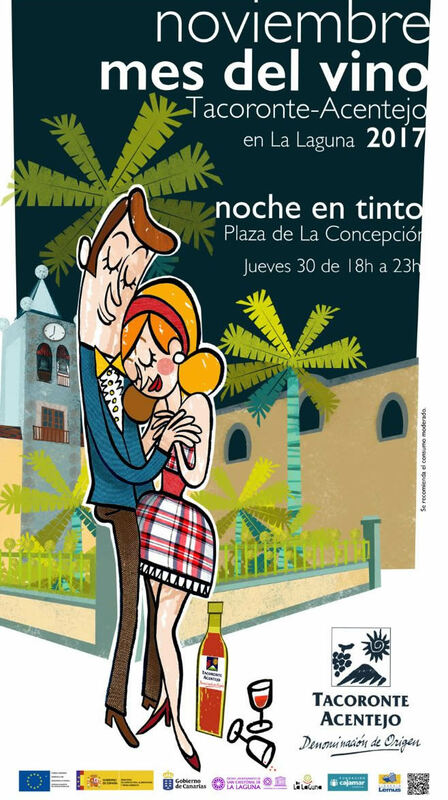 Also throughout the month there will be several other events in La Laguna, starting with the famous Noche Blanca on the 4th of November and culminating with Noche en Tinto on the 30th November.